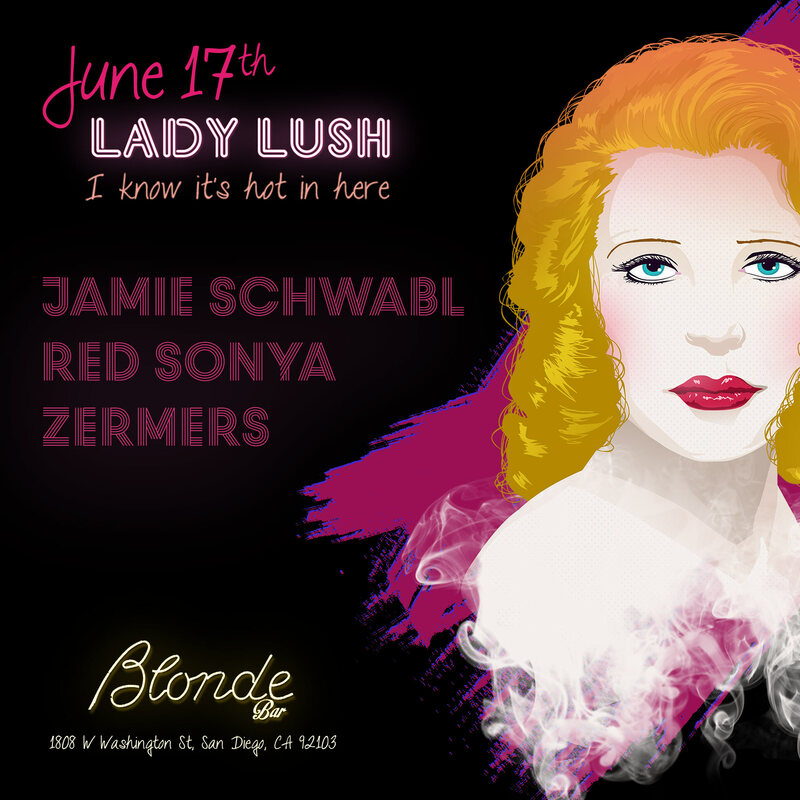 Saturday, June 17th, 2017, Join Lady Lush for our monthly Saturday night dance party at Blonde Bar in San Diego! 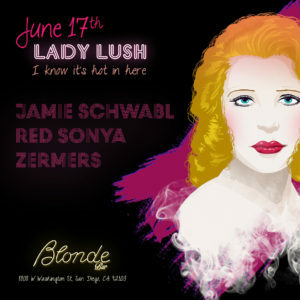 This month’s DJ lineup features Jamie Schwabl, Red Sonya and Zermers for a special #CountdowntoContact edition. The music will be bumpin’ from beginning to end, so buy your tickets now to reserve your space on the dance floor!